This is a great example of a classic. She appears to have been well looked after and has some lovely features. All the woodwork looks in good condition, the bilges are dry, and the deck looks in good condition too. She has had a new water tank installed 2 years ago, and was surveyed last year. The only negatives I could find were some scratches on the starboard quarter and slight discolouration and some rust marks which the owner has told me will not be there the next time I see her. It is worth mentioning that I did not see any sign of damage or leaks to the windows. I think this is a great vessel with good potential for a variety of uses. 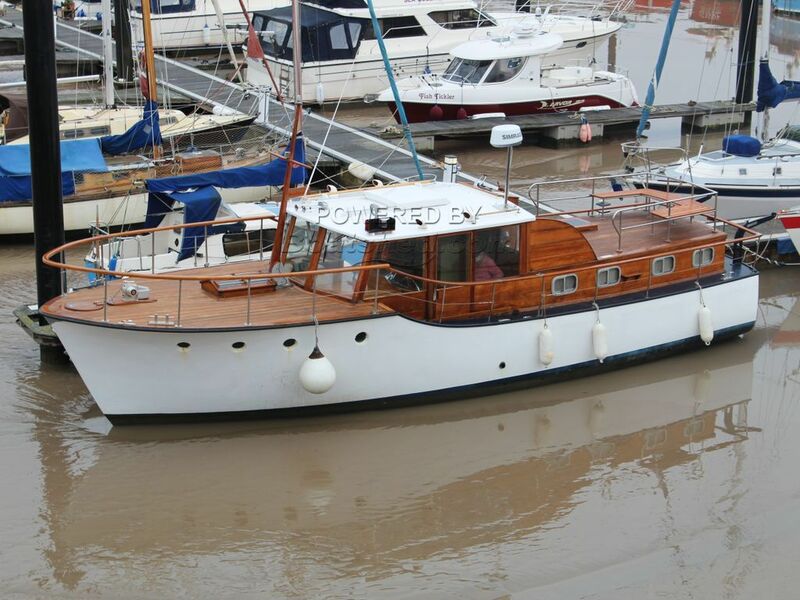 This Akerboom 38 has been personally photographed and viewed by Oliver Yates of Boatshed Bristol. Click here for contact details.